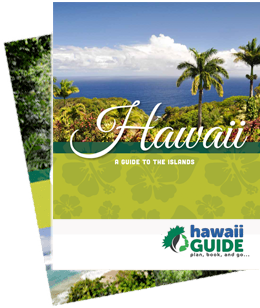 A visit from the Hilo region to the Kona region (or Kona to Hilo) of the Big Island is a must on your visit. To do so you must drive the Saddle, a road that connects the east and west sides of the island passing between the island's two largest mountains, Mauna Loa (13,680 feet) and Mauna Kea (13,796 feet). The past few years there have been tremendous improvements to this entire area. Saddle Road was first carved out of the lava in 1942 as both an access road to the Pohakuloa Army Base (located in the center of the island) along with a way to quickly travel between East and West Hawai'i. Saddle Road was constructed by the Federal Government and was eventually turned over to the Territory of Hawaii in 1945. However by 1957, when funds for maintenance ran low, duties were transferred to the County of Hawai'i. Today Saddle Road provides the only access to the Army Base, residential areas of Waiki'i Ranch, Mauna Kea State Recreation Area, portions of Parker Ranch (mostly located in the Kohala Region), Kilohana Girl Scout Camp, Kaumana City and Kaumana Caves County Park. Even though several miles of the highway have been resurfaced, as of this writing, you still cannot drive it without violating most rental agreements. We talk a bit more about the debacle of 4x4 versus a regular car on the Hawaii rental tips page. We always suggest renting with Turo before we drive the Saddle, normally because we like having a 4x4 to reach the summit of Mauna Kea (in fact, never try and visit the summit without a 4x4). Just check with your rental company before-hand if you plan to make any journey on this road. Ultimately, we believe Saddle Road is a part of the island you shouldn't miss if you can afford the time to see it.